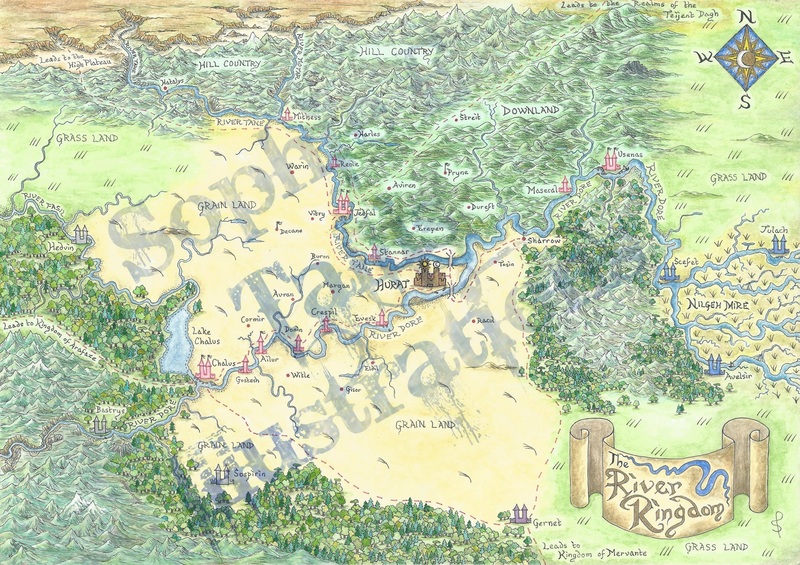 I am indebted to Sophie E. Tallis for this wonderful map. It’s not only a beautiful piece of illustration in its own right, but the more I look at it, the more possible stories I see arising from the details she’s drawn – after asking exactly the right questions to draw the answers out of my imagination. Click to see the larger version – and you can zoom in further on that. Obviously this illustration remains copyright, hence the watermark.